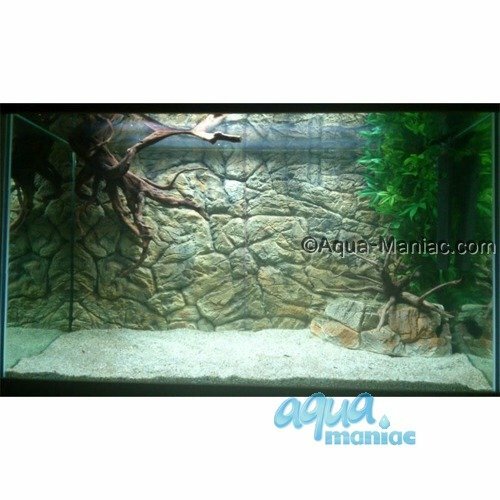 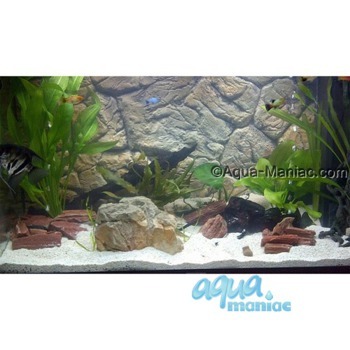 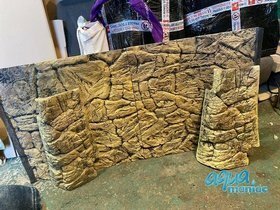 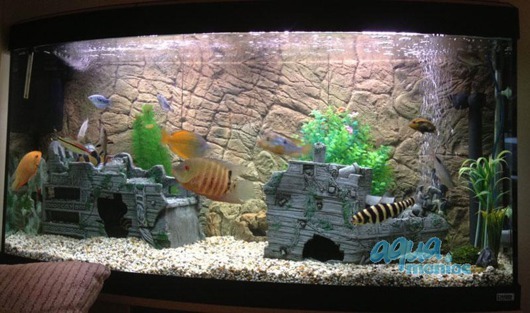 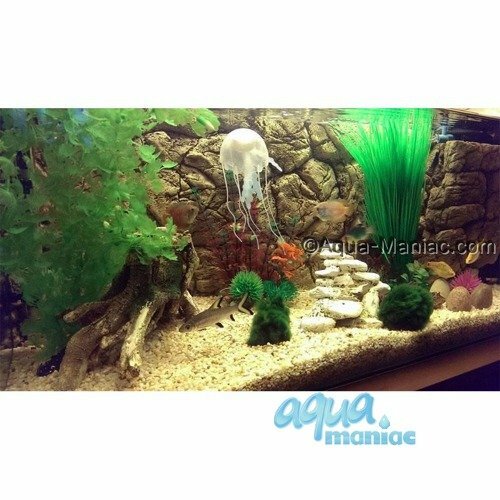 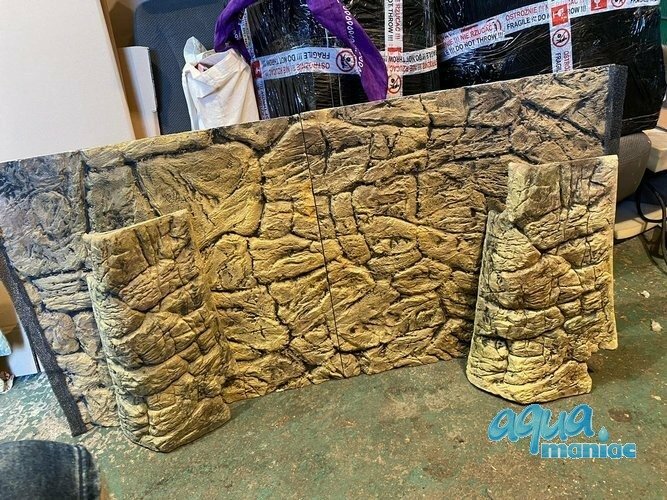 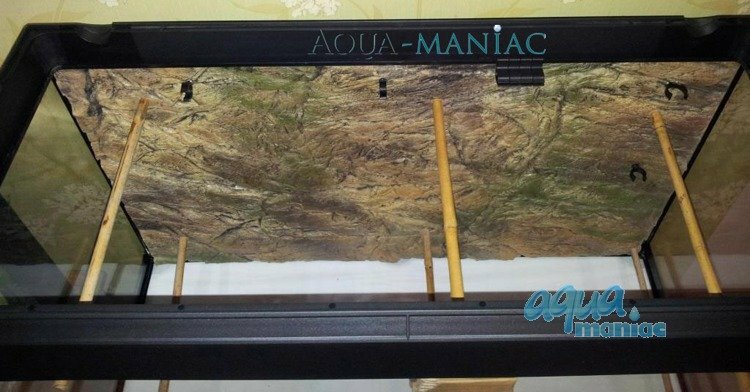 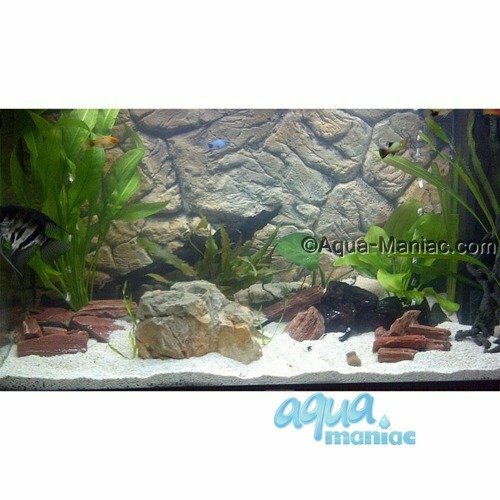 This background comes in 2 sections and will fit Fluval Roma 240 aquarium. 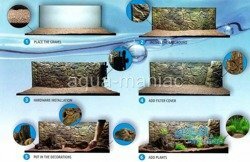 The space from glass to front of background is only 1 cm. The background doesn't sit flush against the glass. Background is made from poly-resin, which is safe for all aquatic life. Our backgrounds sink, it's not a foam.